Over the years, I've worked at a number of field sites. I started out in the Upper Nilgiris in the shola-grassland montane ecosystem. Stunningly beautiful in winter and soaking wet in the monsoon. I then spent several years traveling to beaches around the coast in search of sea turtles. The best ones are remote and peacefully secluded. Most recently, I've discovered the world under the sea. Diving is an addiction with the bonus of highlight reel marine life sightings on a daily basis. 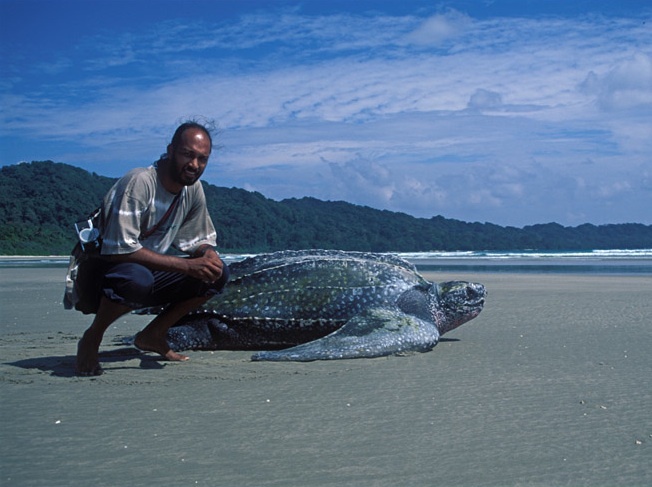 I started working in the Andaman and Nicobar Islands in 2001 and spent several months at Galathea beach in Great Nicobar Island, tagging leatherbacks and collecting samples for genetic analysis. Since 2008, we have monitoring camps on Little Andaman Island. Read more. ​I visited Gahirmatha and Rushikulya beaches in Odisha in 1999 to initiate my research on ridley genetics. 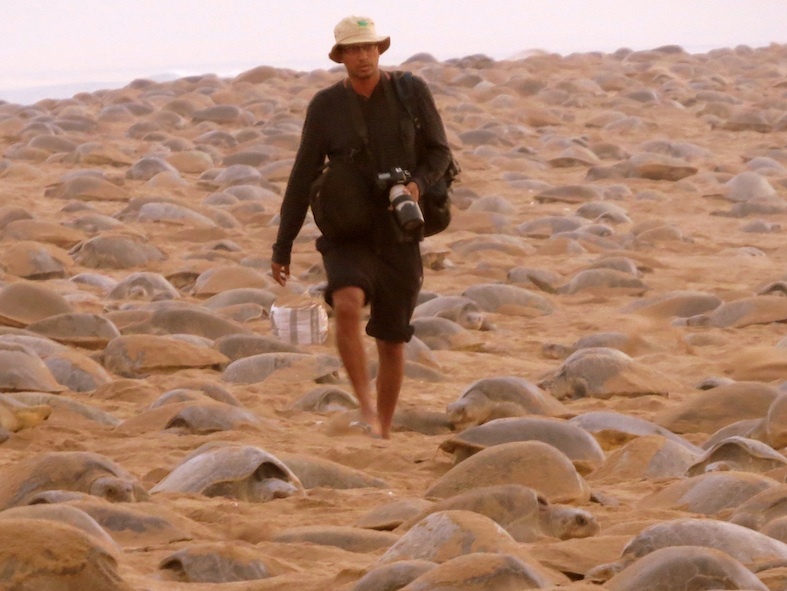 Since 2007, we have been monitoring the mass nesting population at Rushikulya. Nearly 60,000 turtles nested on one night during the March 2013 arribada (above). Read more. ​I learned to dive in 2010 at Kadmat in Lakshadweep and finally got to see marine turtles in their true habitat. Their grace and elegance in the water is beyond description. I was hooked. I am now involved in projects on reef fish foraging and on green turtles in the Lakshadweep. Read more. ​I spent 3 years in the Upper Nilgiris, based out of Upper Bhavani. As part of my PhD, I trapped small mammals in the Mukurthi National Park and in Thai shola. The rolling grasslands and pretty sholas nestled in the valleys make these montane ecosystems one of the most interesting and visually stunning landscapes. For the last decade, my research team has tramped up and down the Western Ghats looking for frogs, snakes, lizards, birds and plants. Our work on mixed species bird flocks has been carried out at Anshi National Park. Many new ecological and biogeographic ideas have been tested, and new species discovered.